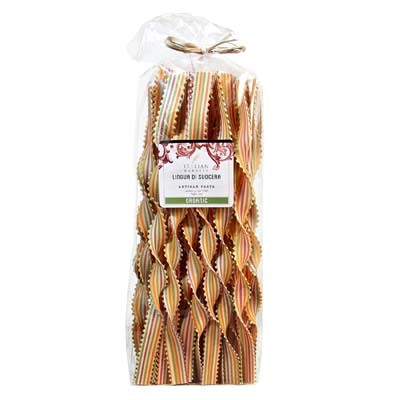 Turn any pasta dish into a lovely culinary masterpiece with these Lingua di Suocera pasta. Serve these colorful artisan pasta from Marella with your favorite savory pasta sauce. Or simply prepare it with a healthy helping of butter and Parmigiano-Reggiano. This pack of Marella’s Lingua di Suocera is a smaller version of the classic Mother in Law’s Tongues. However, they are still made with only high quality 100% Italian grains. Also, this pasta is handcrafted and carefully dried at room temperatures of 37 to 38 degrees! All Organic Marella Pasta are expertly crafted and made with the best ingredients available. No wonder it is a recipient of the 2013 Silver Sofi Award for “Outstanding Product Line”.